Synopsis: Even from behind the throne, a woman can rule. My Review: Minnie has always believed in marrying for love and not for a political alliance. The day comes when Minnie meets Nicholas, the tsarevich of Russia. She immediately falls in love with him. However, her romance is short-lived when Nicholas dies. On his deathbed, Nicholas wishes for Minnie to marry his brutish brother, Alexander. Because Minnie’s fiance dies, she is seen as a widow and no longer a suitable candidate for eligible princes. Minnie is forced to confront the choice of no longer marrying for love but for comfort and stability. With the urging of her mother and Nicholas’s wish, she accepts Alexander’s proposal. Minnie and Alexander do not love each other at first. Gradually, they begin to find endearing qualities in each other and form a loving relationship. They have many children. However, Minnie’s role as a wife, mother, and empress is not completely happy. Outside the palace walls, there are rebels who are determined to bring the Romanov family down. She survives a few assassination attempts. When her husband dies at the age of forty-nine, the Russian throne is in the hands of Minnie’s eldest son Nicholas II. Nicholas II is unprepared to rule. Nicholas relies on Minnie to help him run the state. 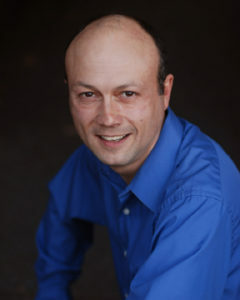 However, he is eventually influenced by his wife Alexandra. Minnie and Alexandra do not get along and have different beliefs. Minnie is forced to sit on the sidelines and watch the gradual fall of the Romanov dynasty. I thought that Maria Feodorovna was a fleshed-out character. She goes through many transformations. When we first meet her, she is a naive, idealistic, and romantic princess of Denmark. When her first love dies, she is a woman who marries for security and a political alliance. When she marries Alexander and becomes his empress, all she wants to do is have fun. She loves to gossip with her best friend, Miechen, and dance all night. When her son takes the throne, she witnesses many court traditions that she has always upheld being broken. Minnie sees the decline of the dynasty and does everything she can to save it. Minnie does have her flaws. She is very judgemental, especially when it comes to Alexandra. She can be cruel to her daughter-in-law. She has no sympathy for her. She refuses to give Alexandra the crown jewels that befits her right as empress. She always has a bad word to say about her so that it strains Minnie’s relationship with her children who sympathize with Alexandra. I thought that the author did a great job in portraying Minnie’s and Alexandra’s relationship. They are very different. They have different personalities, beliefs, and goals. Alexandra is timid and shy. She wants to have a quiet life outside the Romanov court. Minnie is confident and thrives within the imperial court. Alexandra thinks that Minnie is an overbearing mother-in-law. However, Minnie abounds to the rules of the Russian court. She believes that she earns the position as the First Premier Lady in Russia because she is the senior female and is the woman with the most experience. Alexandra is deeply religious and believes that Rasputin is a powerful magical healer. Minnie does not have that kind of faith and thinks Rasputin is a conman. They also have different political beliefs. Minnie disapproves when Alexandra interferes in politics and believes that these decisions may bring about the dynasty’s fall. 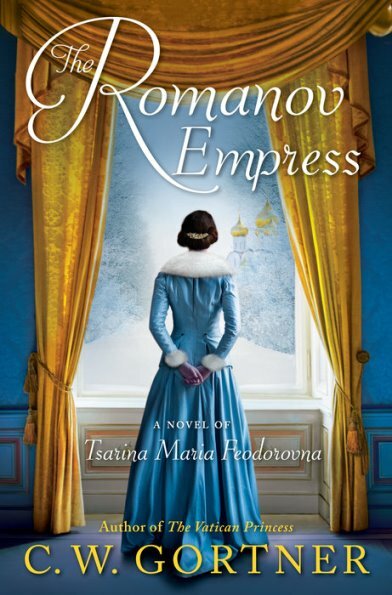 The Romanov Empress is about a woman who attempts to maintain tradition within the Russian imperial court. She must learn to cope as her children break away from these traditions that she grew up on in order to form their own happiness. Minnie must also bear the tragic fate of witnessing the end of the Romanovs. Minnie is a survivor. At the end of the novel, it is clear that Minnie loves her country. Everything she does is for Russia, and she was unwilling to leave it behind. Overall, The Romanov Empress does a superb job in making Maria Feodorovna come alive. The writing is very eloquent and elegant. Mr. Gortner also breathes new life into the Russian imperial court with all their customs and traditions. I also thought that he did a great job in portraying the mindset of the Romanovs. There were times in The Romanov Empress where I thought some parts were rushed. Because it was a big book and Minnie had a long life, I could understand why Mr. Gortner rushed these parts in order to speed the plot along. Still, after reading The Romanov Empress Mr. Gortner proves that he is the king of historical fiction! This novel is a sumptuous feast for historical fiction lovers that you do not want to miss and easily one of the top novels of 2018! The Romanov Empress is perfect for those who love books about one woman who stood solid in the midst of chaos and tragedy.